Be the first to share your favorite memory, photo or story of C. Bernard. This memorial page is dedicated for family, friends and future generations to celebrate the life of their loved one. C. Bernard “Bernie” Rosenberg, age 80, of Council Bluffs, passed away at his home on April 7, 2019. Bernie was born January 19, 1939 in Council Bluffs to the late Clarence B. and May (Bettis) Rosenberg. He graduated from Thomas Jefferson High School in 1957 and proudly served his country in the U.S. Navy in the Seabee Construction Battallion. Bernie married E. Lucille “Lucy” Morrison on June 17, 1961, at Epworth United Methodist Church. They were blessed with two children Wendy and David. Bernie was a self-employed general contractor for 40 years, retiring in 2004. 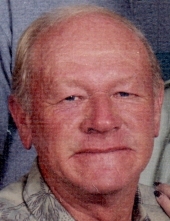 He was a member of Epworth Methodist Church and the Council Bluffs Optimist Club and was the clubs past-president. Bernie loved to bowl and golf, and was an avid Hawkeye fan. He was a well-known and respected general contractor in our community for 40 years. Bernie was truly blessed to have the special companionship of Karen Williams for the last few years. One of the high lights in his life was becoming a grandpa, and later a great grandpa. In addition to his parents, Bernie was preceded in death by his wife of 53 years, Lucy Rosenberg in 2015; infant daughter, Wendy Lynn Rosenberg. Bernie is survived by his son, Dave (Cindy LeMaster) Rosenberg of Council Bluffs; grandsons, Alex Rosenberg, Paul (Jessica) Rosenberg; great grandchildren, Nolan, Delaney, Grayson and Charley; companion, Karen Williams; dog, Scooter; and many family and friends. To send flowers or a remembrance gift to the family of C. Bernard "Bernie" Rosenberg, please visit our Tribute Store. A lunch will immediately follow at the Cutler-O’Neill Community Room. Inurnment Ridgewood Mausoleum with military rites tendered by the Kanesville Honor Guard. "Email Address" would like to share the life celebration of C. Bernard "Bernie" Rosenberg. Click on the "link" to go to share a favorite memory or leave a condolence message for the family.